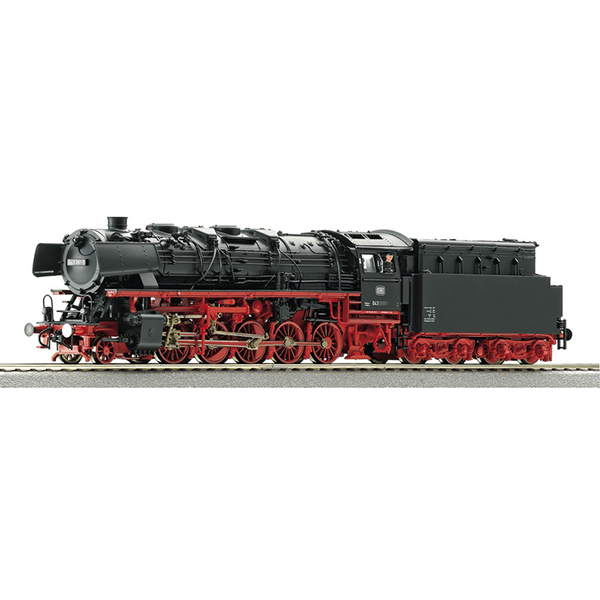 Steam locomotive class 043 with oil firing of the German Federal Railways. Model Description: Motor with flywheel. Drive on seven axles (locomotive tender drive), two of them have traction tyres. Interface according to NEM 652 standards for decoder adaptation. Coupler pocket according to NEM 362 standards with close coupler mechanism on the tender. Headlights that change with the direction of travel. Ready equipped to install a Seuthe smoke generator.